The idea of requiring users to provide a second form of identity to gain access to information used to be seen as only necessary for remote access or top-secret jobs. Now, most organizations are deploying Strong Authentication and most regulatory bodies are mandating it. 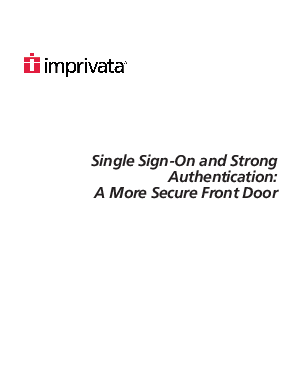 This whitepaper explains which forms of Strong Authentication are best; lays out considerations for evaluating Strong Authentication; and explores issues and trade-offs when deploying Strong Authentication.